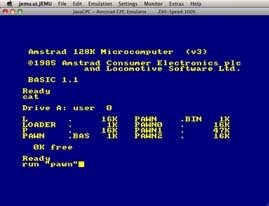 There are numerous CPC emulators available, many of them for different platforms and with different capabilities. 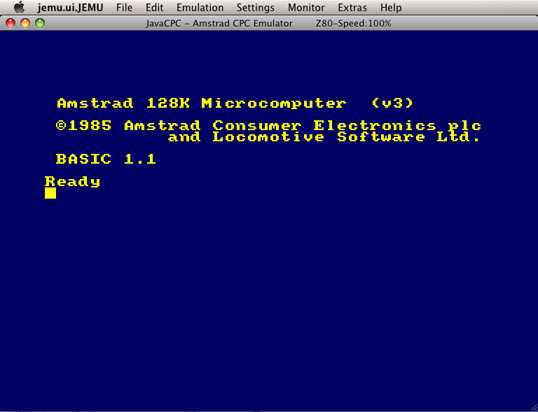 A sophisticated emulator is Java CPC. As the name indicates it is written in Java, easy to set up and does a good job with the Magnetic Scrolls games. 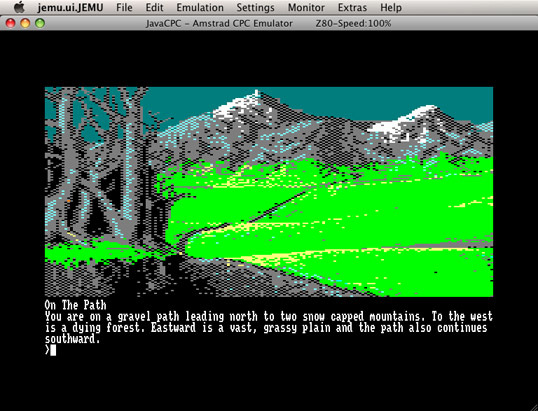 Like most other emulators, JavaCPC uses images files containing the contents of the original game disks or tapes. Since the CPC floppy drive used the rather uncommon 3" disks, it is probably difficult to transfer the disk contents without a real CPC. It is quite hard to find such a drive and they are very expensive. There are several large archives on the net carrying the image files of CPC disks, so perhaps you want to chose this way (e.g. the NVG CPC archive is a place to start) and if you own original game copies this should be fine. 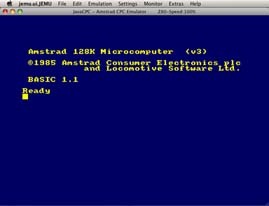 In 1999 Amstrad has allowed the free usage and distribution of the Amstrad CPC system roms and most current emulators have the roms onboard. If your selected emulator is missing the roms for some reason, it should be easy to find them. Within the disk catalog finds a file with the extension ".bas". Thias is the game executable. 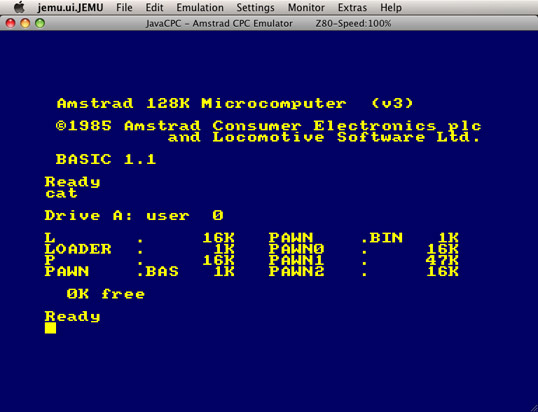 To load the game type the command "run" followed by the name of the executable set in quotation marks, e.g. run "pawn"